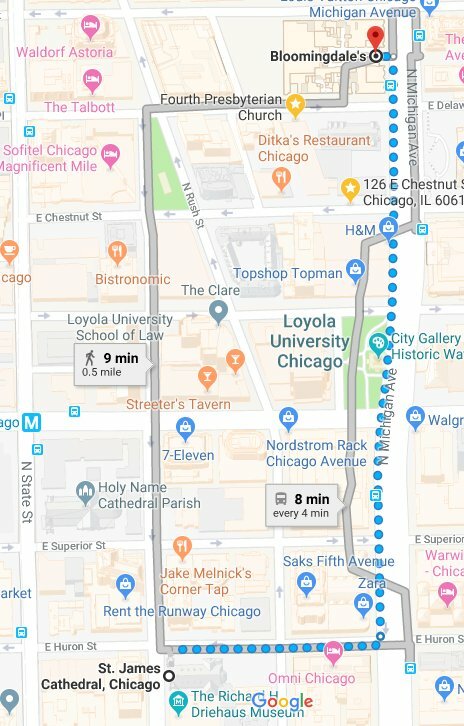 Red Line Chicago Avenue: St. James Cathedral is conveniently located 2 blocks from the red line, exit at Chicago Avenue, then south two blocks to the corner of Wabash and Huron. 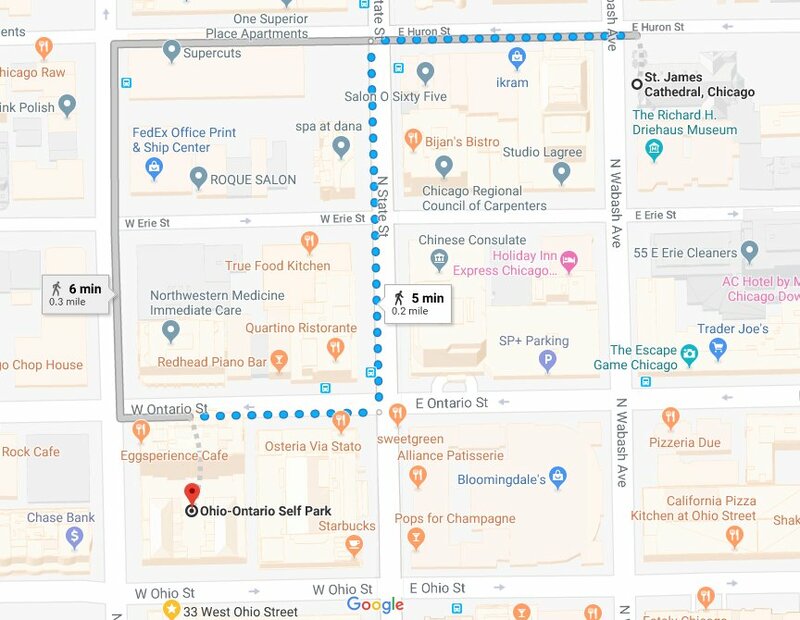 Bus: St. James Cathedral is one block west from the 145, 146, 147, and 151 bus lines on Michigan Avenue, exit at Superior or Erie if southbound, exit at Huron if northbound. [ Website | Map with route ] Advance reservation evening Rate on website for April 5 is $8. 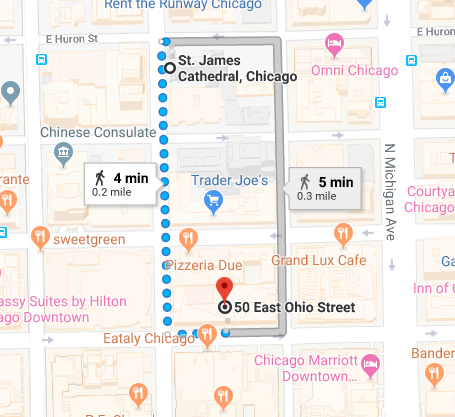 3: Rush-Ohio-Wabash: (ROW) 50 East Ohio Street – 5 minute walk. 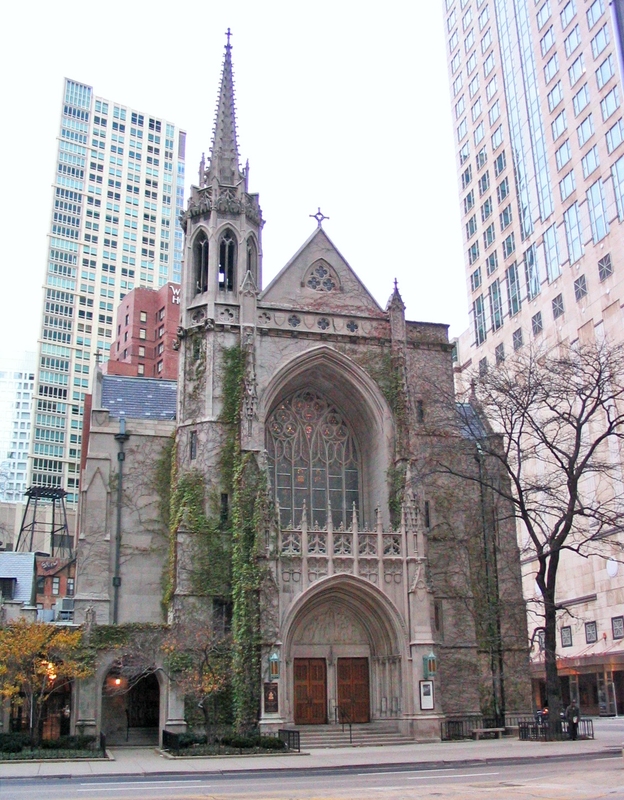 Also See: Maps & Parking information on St. James Cathedral website. is the Camerata Chicago Academy Orchestra. Parking available in parking lot at no cost. Parking is available at Bloomingdales for $6. 1 Park at Bloomingdales and receive issued parking ticket. You must park after 5pm only. 3 Collect a parking validation ticket from the box office. 5 Note that these permits can only be used once, you can’t move your vehicle and then come back using the same permit.